NES keep on touring through Europe over the next months (Spain, France, Germany, Switzerland, Netherlands). 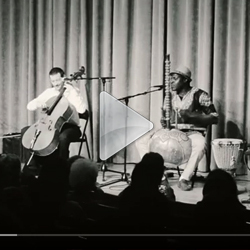 Enjoy a full live recorded in Berlin, by Deutschlandfunk Kultur @ Jazzclub A-Trane. Matthieu will perform for the opening of the festival Nuit Solaire @ Floreffe Abbey (Belgium). 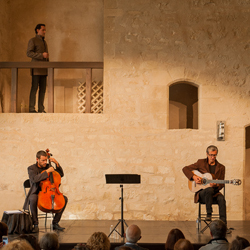 During the evening, concert with Résonance…. just before Dhafer Youssef. 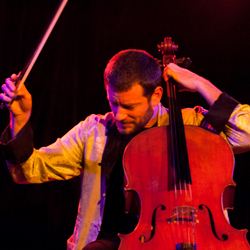 On June 21st, Cello Solo will then perform at the New Directions Cello Festival in Boston (USA). The band will be touring in Belgium and France in April and May. Matthieu is finishing up the mixing of his new album. 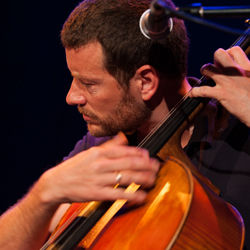 It will be a new and very personnal milestone in Matthieu's way, 10 years after Cello Solo's release. This time, he will be joined by prestigious guests... discover them soon! 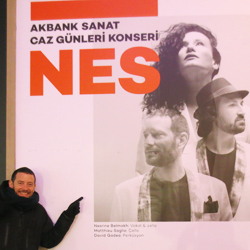 After Istanbul in Juanary, NES will be on tour in February for a very intensive month including concerts in Paris, Netherlands, Germany, Switzerland, UK. 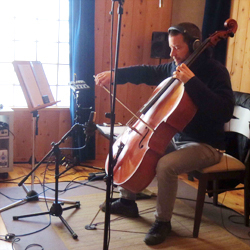 Matthieu has just began the recording of a new album, in order to celebrate the 10th anniversary of the release of Cello Solo. This time, he will be joined by a very high level guests... surprise soon! 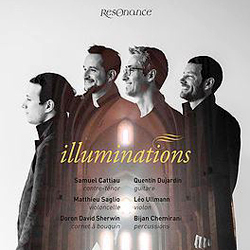 The album Illuminations, recorded at Noirlac Abbey (France), is now available on Résonance website. After a première at the famous Madeleine Church in Paris, the band will be touring in Italy, Belgium and France. 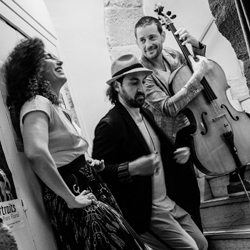 Don't miss out on the opportunity of sharing the energy, the virtuosity and the complicity provided by Jerez Texas which will be in France for 3 dates in November at Toulouse (31), Thourie (35) and Bouvron (44). 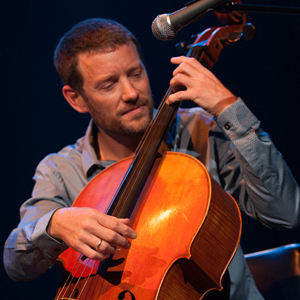 Matthieu is glad to come back in southern France to perform Cello Solo early December. 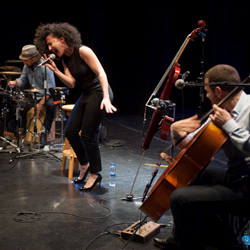 Jerez Texas has been selected to be one of the Spanish jazz band representatives during the Jazzeñe Fest. 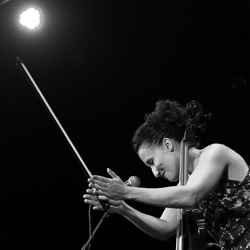 In concert in Zaragoza on Oct. 4th. 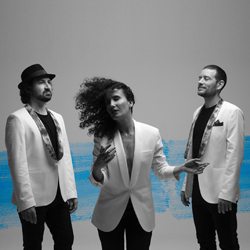 The european tour is going on with concerts in Berlin (Philharmonie), Paris (Sunset Jazz Club), Amsterdam (Bimhuis), Hambourg (Elbfest), Vienne (Sargfabrik), etc. 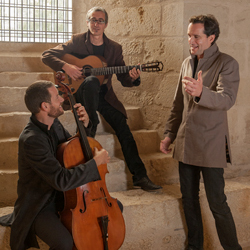 Discover the very nice documentary about the trio, shooted in Valencia, for the ARTE TV magazin 'Metropolis'. After an exclusive Spanish release in May, accompanied by a nice Spanish Tour (15 concerts, 4000 people), the album Ahlam is now available worlwide. Matthieu will have the pleasure to be on tour in France with his solo for 5 concerts in May in very nice places such as the romanesque church of Ste Jalle or the Notre Dame de Lorette Abbey. NES will hit the road for a great release tour in the months ahead with concerts in Spain (Madrid, Barcelona, Granada, Sevilla, Valladolid, Salamanca, Valencia, Alicante, Denia, Benidorm, Palma de Mallorca, Zaragoza) and also in France (Bordeaux, Toulouse), Romania (Internat. Sibiu Jazz Fest. ), Netherlands (Cello Bienal) and Germany (Berlin Philharmonic). 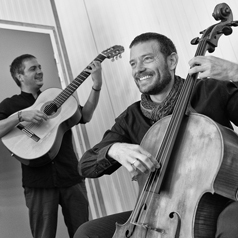 After having performed at Etnomusic Tardor Festival, Matthieu & el Piru will be on stage in Valencia and hit the road for 4 concerts in France in February. 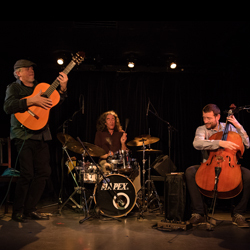 In February, Jerez Texas will be on stage in Spain (Valencia, Zaragoza, Valladolid) and then will hit the road for a French tour in March (11 shows including Paris). 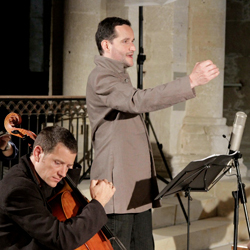 Beautiful recording session for Résonance, as it took place in the wonderful abbey of Noirlac. 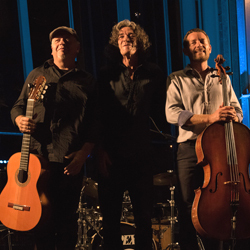 The trio was joined by 3 very special guests: Léo Ullmann (Violin), David Doron Sherwin (Cornetto), Bijan Chemirani (Percussion). Do not miss an astounding live video recorded at Grand Rex in Paris, during the TEDx conference in November 2017. 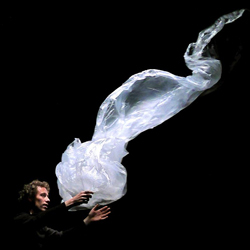 With choreographer Aragorn Boulanger and Compagnie 14:20. A moment of pure poetry shared with 2000 spectactors!! 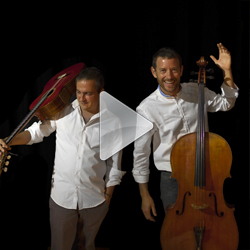 Now available: two videos of José 'El Piru' & Matthieu's duo. They will be on stage inValencia, Zaragoza, St Elix le Château (France), etc. 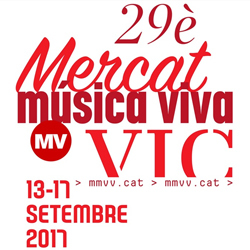 Jerez Texas will have the privilege to play on Sept. 14 at Vic's Mercat de Músicas Vivas, the most famous meeting in Spain for music agents and producers. 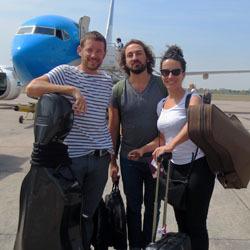 Jerez Texas will then take off to Mauritania to be part of Jazz Sahel plus Festival. A great experience, for sure! To celebrate this new site, we provide you new exciting videos. Matthieu will perform in Zagreb (Croatia) on Sept. 30 as cellist for the Phantom Project created by his brother Etienne Saglio. A magical moment! 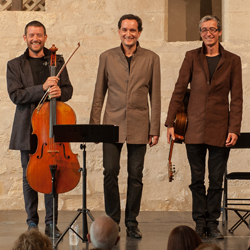 NES will be touring all July long with wonderful dates in great venues in Spain (Massamagrell, Segovia, Valladolid, Pollença, Carlet, Algemesí, El Campello) and France (Arles, St Romain de Lerps, Corenc, Briançon). All tour dates available on Matsag's agenda. 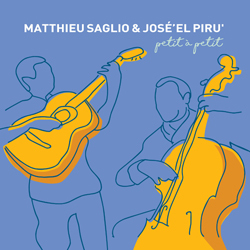 You can order the brand new album Petit à petit, recorded by Matthieu Saglio and the flamenco guitarist José 'el Piru',crossing their paths for the pleasure of our senses, resulting in a spontaneous dialogue, a simple obviousness, and ten chords composing a melodious rainbow arranged in uncountable nuances. Lovely series of concerts through France and Belgium this month in, as usual, magnificent locations, which will also give the musicians the opportunity to shape their upcoming album, expected for 2018. 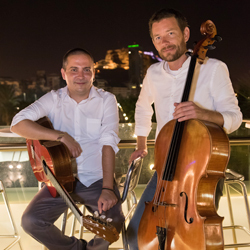 This spring has seen a new project flourish: Matthieu just launched a new duo with the flamenco guitarist José “El Piru”, offering an elegant and warm-hearted repertoire between flamenco, jazz and world music. The album is due in June 2017. 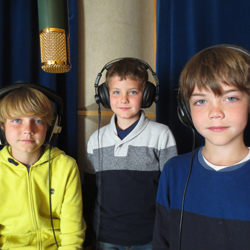 NES has just recorded its first album at the mythical studios of La Buissonne in France, linking the project with an intensive tour in France at the beginning of April. 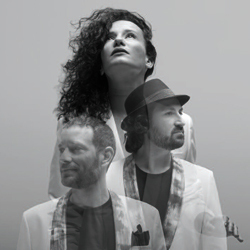 With the release of Jerez Texas’ new album “Clar de Lluna”, discover on the band’s YouTube channel five new videos live recorded, as well as a variety of audio recordings on the audio section of matsag.com. [20/02/17] Clar de Lluna now available! 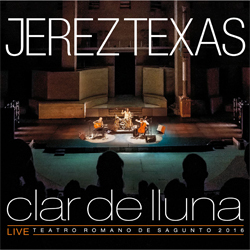 Clar de Lluna, Jerez Texas' new album recorded live in trio in 2016 is available. You can get the album from matsag.com's shop for only 10 euros. 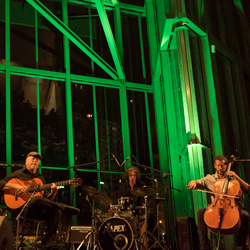 Watch Jerez Texas perform "Clar de Lluna" with 5 videos recorded live during this amazing concert. 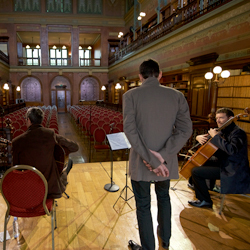 You can now listen to the delightful concert given by Résonance at the Bibliothèque Solvay in Brussels on April 15 with the violinist Léo Ullmann as a guest. Recording produced by MUSIQ'3. 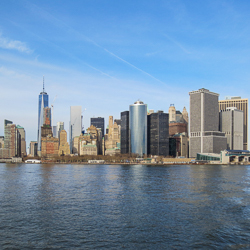 What a thrill to visit New-York for the first time, especially to participate in two nights dedicated to New Magic with Compagnie 14:20 at French Institute Alliance Française ! Matthieu got this chance early March. Performances by Compagnie 14:20 were once again sold out in Charleville Mézières, Mondeville, Boucau. Next date is scheduled in December in La Riche. 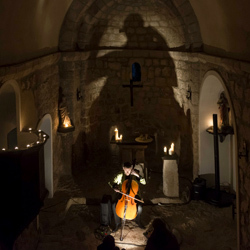 Matthieu performed Cello Solo in some beautiful places for the last few weeks, including a very moving concert in Blosseville, the little village where his recently departed grand-father used to live. 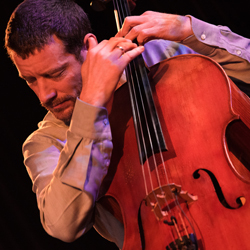 More Cello Solo performances are due in France in late April. 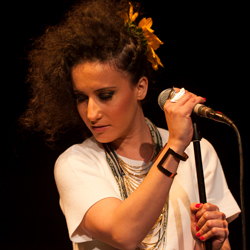 Have a look on these all-new clips recorded live and discover new Diouke's line-up with Alfie Copovi at the keyboards! 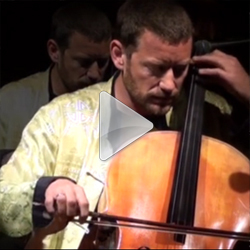 This amazing performance was shot at the Botanical Garden in Valencia in February. 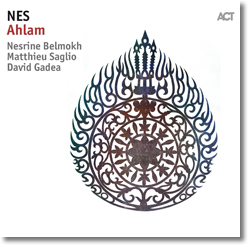 NES, the latest project founded by Matthieu with the singer and cellist Nesrine Belmokh, is ready to present it's wonderful songs on stage : many dates are already booked for the months to come, in Spain, Italy and France. Do not miss them! [10/03/16] Résonance's first album now available ! The first Resonance'album is available! 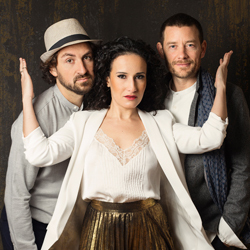 The project led by Samuel Cattiau (countertenor) & Quentin Dujardin (guitar) will present it's beautiful songs inspired by early music in magnificent places (Eglise Ste Catherine de Lille, Fest. de la Tour Passagère de Lyon, Cathédrale de St Paul les trois Châteaux, Abbaye de Noirlac, Reine Elisabeth de Bruxelles..). Order the CD. 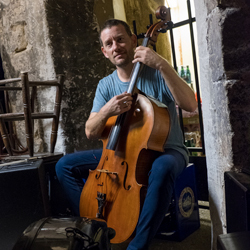 For the first date in France of Cello Solo this year, Matthieu could taste another time the hearty intimacy of the Comedy Nation Hall, and he wasn't the only one to appreciate the evening, as indicated by the public's enthusiastic response! [15/01/16] Great year within sight! The New Year augers extremely well, loaded with many concerts for Matthieu's different projects, with a particularly nice date for Diouke in February at the Jardín Botánico of Valencia and a concert of NES at the well-known Jamboree of Madrid in March. To be found in the calendar! A little Christmas present! 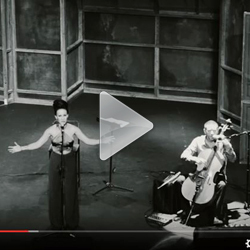 Matthieu gently offers you the full concert of NES recorded on the 21 October at the Teatro Talía of Valencia. A delight both for ears and eyes! 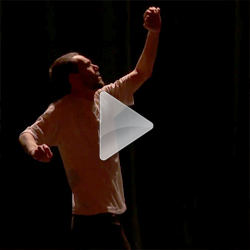 Discover the clip of an unreleased piece of music from Matthieu, called El Abrazo and composed for the funeral of his grand-father. 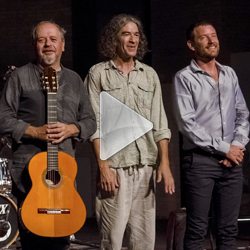 A stirring tribute of impacting beauty, live recorded last July in Menorca. 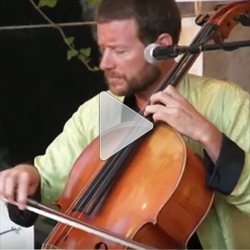 And now a small present for the summer: here is a video-clip recorded at a concert from Cello Solo performed at the media library of Saint-Herblain this spring near Nantes. The concert is available in full, which means one hour and fifteen minutes of live music! A way to discover all these magnificent compositions, where cello and sampler marry to build some majestic sound architectures.